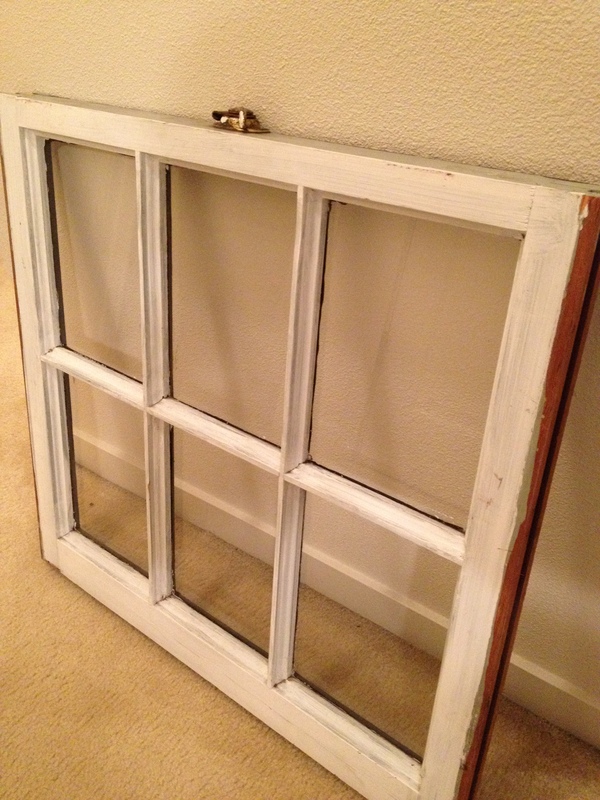 About 6 months ago, I bought a salvaged window pane from the ReStore. It was $15, I think? I thought it was really cute, but I had not idea what to do with it, until I went to The Craft Warehouse. 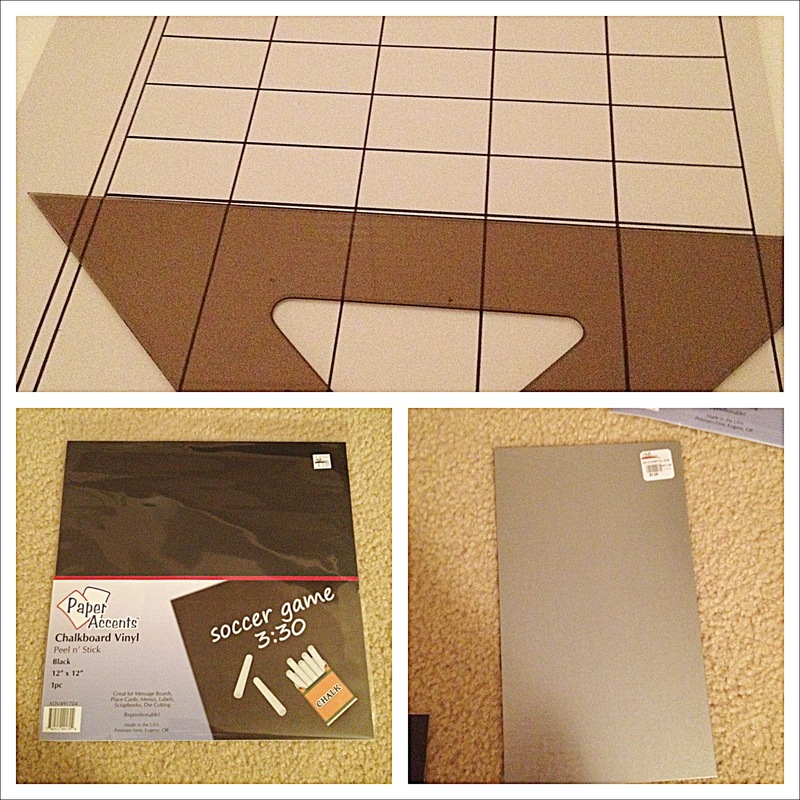 There were two aisles devoted entirely to making your own organization boards. Peel and stick chalkboard and dry erase paper, calendar inserts, recipe and menu planning, magnet boards, cork/magnet board combos… I was overwhelmed with choice. Decided to get two chalkboard pages, two metal strips for magnets, and make my own calendar. There are 6 panels on the window, so I was going to use the actual window panes for dry erase markering. I cut out the exact shape of the pane in the chalkboard paper and stuck it right on. I glued the metal strips directly to the window. I made a blank 5 week calendar and taped it on the back of the window panel, this way I can write directly on the window and erase or change easily. I found random hooks in my toolbox and screwed them to the bottom of the frame. I also had to install the wire hanger, which was also in my toolbox, but you can get at Home Depot. Done-zo! 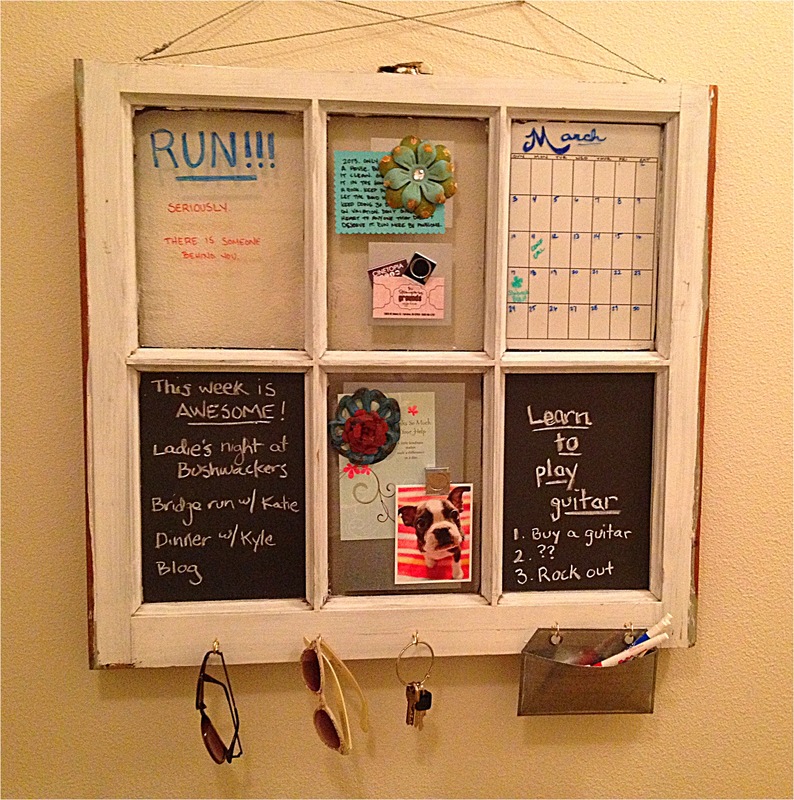 This entry was posted in crafty project and tagged chalkboard, craft, dry erase, hobby, magnet, new, organization board, restore, window pane. Bookmark the permalink. I like this and was wondering about the magnet strips. I can’t find them. Do you have any ideas on where I may find them? We have Hobby Lobby, Michaels and some other stores. I even looked on Amazon and couldn’t find anything. Any advice would be helpful. what did you use to make the monthly calendar square? I used a ruler and t-square to make a 7×5 grid on a blank sheet of white paper. Then I just adhered it to the back side of the window facing forward. That way, when you use makers, you are just marking up the window pane. It also makes it easy to change out the design as needed.